Outside Murmansk/Му́рманск, along the M18, there is a road sign indicating the distance to Saint Petersburg/Санкт-Петерб́ург as 1382 km (Google Streetview), and another one at 1434 km (presumably another route). This forum post contains a photo of a sign indicating 2800 km to Perth. 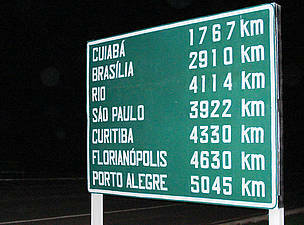 I recall having seen a photograph of a road sign in Siberia, indicating ~5000 km-ish to Moscow, but I cannot find it now. 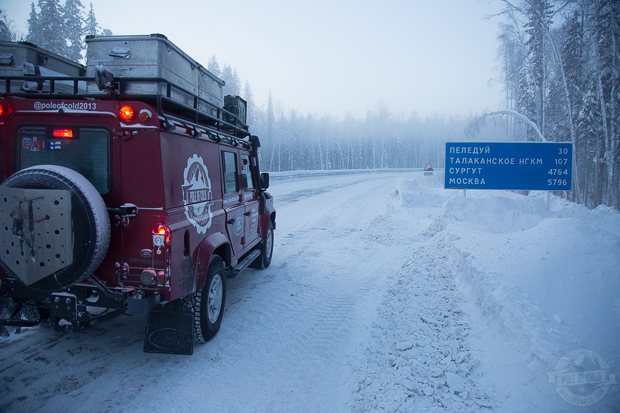 However, this panoramio photo pictures 3177 km to Magadan / Магада́н. 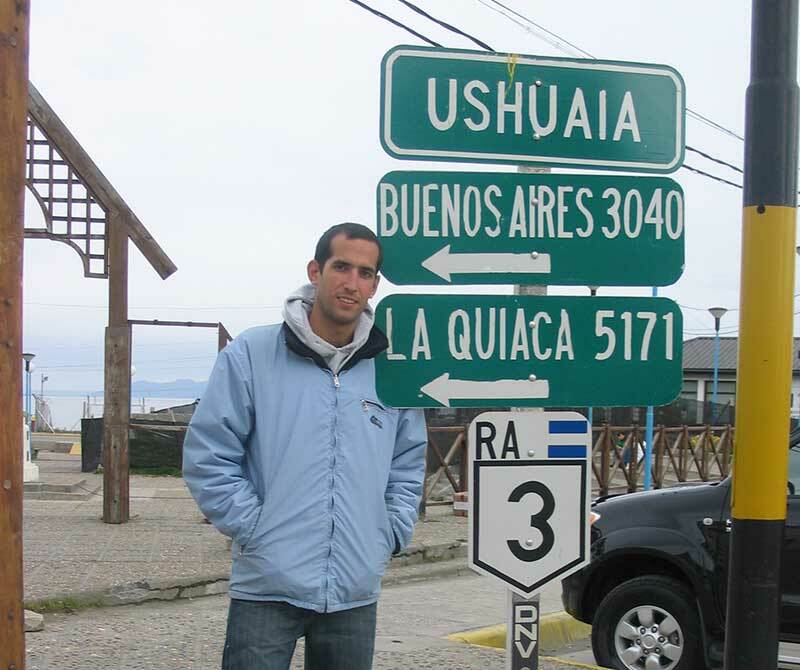 What is the highest ordinary distance road sign in the world? By ordinary, I mean that special signs showing far-off cities don't count; I mean only road signs part of ordinary distance signage. There is some discussion on a skyscrapercity forum thread and a aaroads forum thread. Just found this one @ https://web.archive.org/web/20141109133836/http://poleofcold.com/the-zimnik-road-a-photo-story/. Tried to find its location, to no avail unfortunately (the sign says it's 30 km east of Peledui (Пеледу́й), Sakha Oblast). 3205 miles is approximately 5157.95 kilometres. It's worth noting that while a sign outside Novosibirsk in Russia shows a large number (3146) it's in kilometres, so is less than the other ones mentioned. 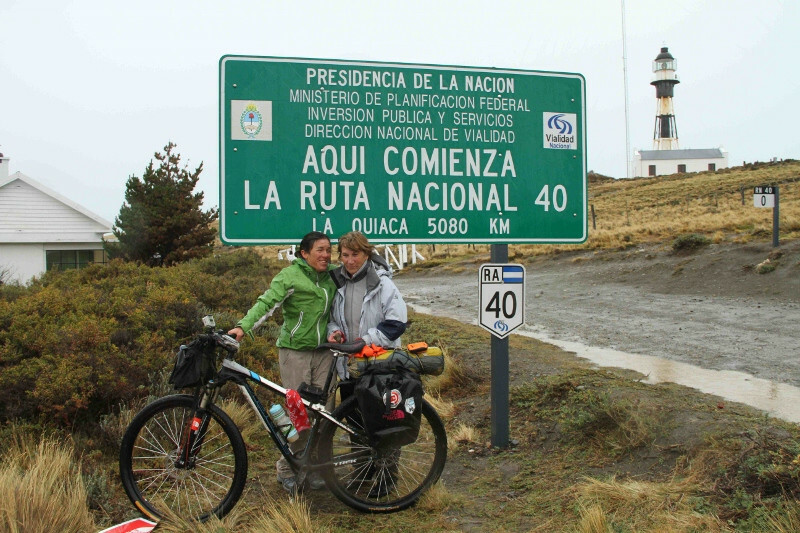 "Here begins the National Route 40. La Quiaca 5080 Km". 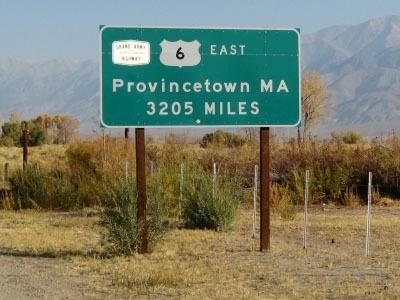 There are signs on US 50 that indicate distance of 3073 miles which is about 4945.51 kilometres. 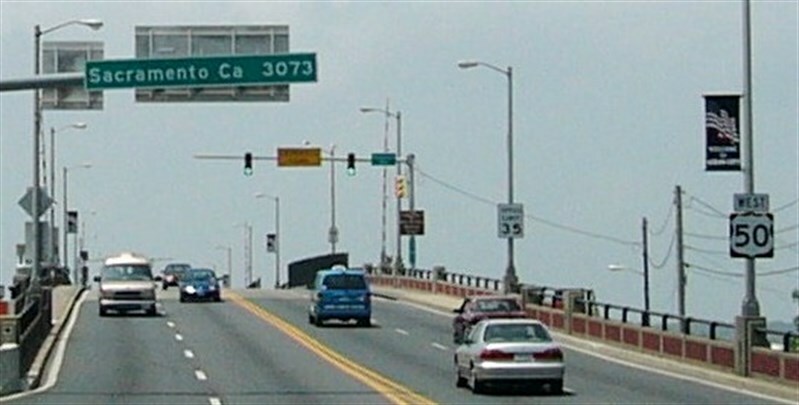 There is a sign to Wilmington, North Carolina, which is about 2550 miles. There are signs in Russia for distance to Vladivostok which in some places indicates ~10k kilometres but I'm still looking for images. Found a sign though not exactly matching the first two but also showing distances. Not the answer you're looking for? Browse other questions tagged driving where-on-earth factoids long-haul or ask your own question. 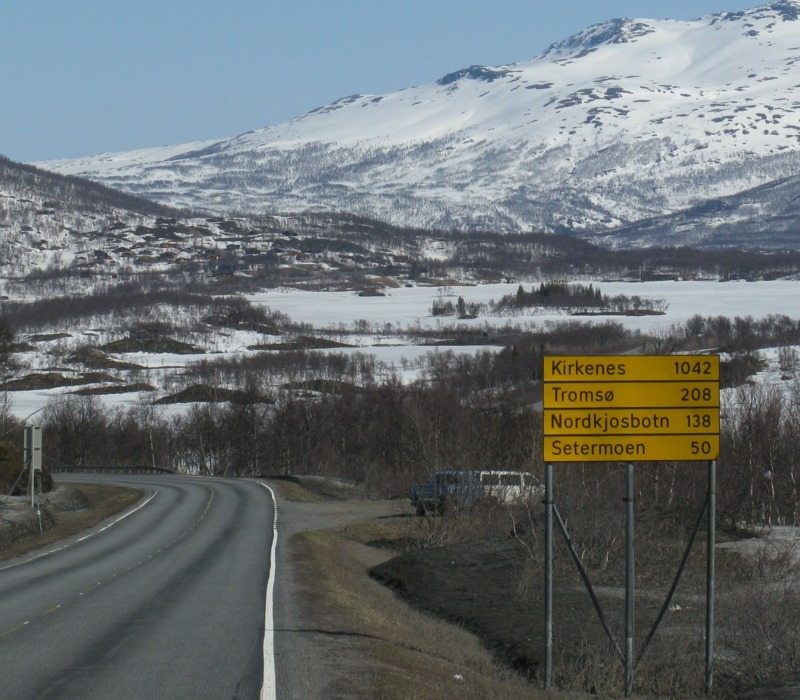 What's the longest scheduled public bus ride in the world? World's longest purpose-built pedestrian tunnel? Which venue has been open 24/7 for the longest time without any breaks? Which road connects the most countries?